This guide has everything you ever need to know about the hunting knife, from its rich history to its many uses and characteristics. No hunter is fully prepared without a knife. From skinning an animal to cutting up its meat, the hunting knife is one of the most vital pieces of gear anyone can carry out in the field. And even after centuries of use, hunting knives continue to be a fixture of society. As with anything that's been around for so long, there are many variations, uses and styles of hunting knives. Because we know it can be overwhelming to wade through the countless options, we've assembled this thorough guide that covers everything you need to know about the hunting knife. Or if you need some help selecting a hunting knife, check out our companion article on the best hunting knives. Ready to become an expert? Read on. It's impossible to pinpoint exactly when the first hunting knife was conceived, mainly because the knife has been around for millennia. However, the hunting knife may very well be one of the oldest tools ever invented, right after the stone hammer and the club. In the Stone Age, early man fashioned blades from stone, shell or bone for a more deadly weapon during and after hunts. Ancient Egyptians also used knives while hunting and even created wooden handles for their stone blades. These spears may not be what you picture for modern hunting knives, but they were used for hunting while smaller stone knives were used for skinning and cutting meat. Except for the game changing birth of metallurgy, the hunting knife went relatively unchanged for thousands of years until one man completely revolutionized the knife: Jim Bowie. Bowie, a frontiersman and American folk hero, modified a number of knives to meet his very specific needs and took cues from different styles at the time, including Spanish and Finnish hunting knives as well as butcher knives. So what does this have to do with hunting knives? During the 19th and 20th centuries, the Bowie knife became increasingly popular with hunters and trappers because of its ability to skin and butcher game. 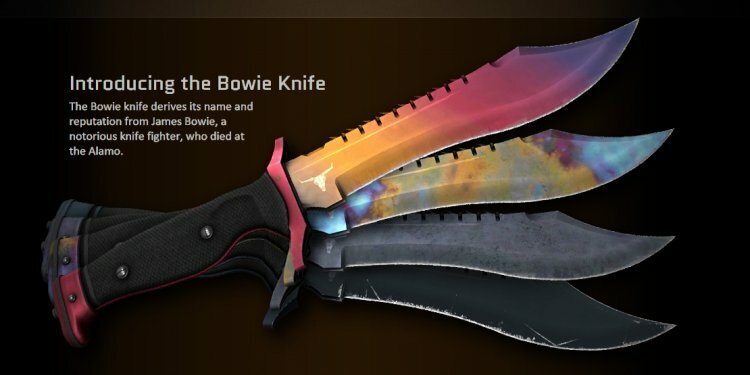 Many hunting knives are still inspired by the Bowie knife. The next development in the history of the hunting knife was the Swiss Army knife, which helped popularize folding knives for hunters. Hunting knives no longer needed sheaths and were easier to carry around. Instead of being multi-functional, the smaller hunting knives focused more on skinning. More importantly, Buck's Model 110 Hunting Knife exploded with popularity in 1964 and became one of the best-selling knives ever. The last major development of note was the drop point hunter pioneered by legendary knife maker R.W. Loveless in the mid 20th century. Although the drop point is commonplace these days, it was first popularized by Loveless and has since become the standard for most hunting knives. These days, when we talk about hunting knives, we don't necessarily mean a knife that's used for killing animals. While hunting with knives is still alive and well in wild boar hunting, it's often done with a hunting dagger, which is specifically designed for stabbing. The modern hunting knife, on the other hand, takes many forms but is optimized for cutting and slicing rather than stabbing. Due to the numerous types of hunting knives, it's impossible to really establish one all-encompassing design for hunting knives. A typical hunting knife should serve multiple purposes, but it is mainly used for gutting, skinning, boning and butchering. Here's a little more information on each of the uses. One of the main uses of a modern hunting knife is for field dressing, which is the process of removing the organs of game to preserve meat. When dressing a deer, gutting is the first thing you must do. A hunting knife cuts the animal open to remove its organs. A gut hook simplifies the process, but we'll talk more about that in the gut hook section. Skinning is another function of the hunting knife because a knife is needed to carefully cut through the animal's skin without tearing muscles or abdominal tissues. As a result, ideal skinning knives have a short, thin blade that's curved. Самая актуальная информация cvv shop у нас.